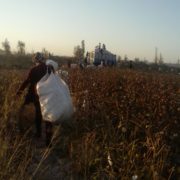 According to several independent sources of Ozodlik in the Nishon district of the Qashqadaryo Region, 5-9th grade pupils studying in different schools in the Qashqadaryo Region have been forcibly sent to pick cotton. 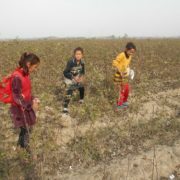 Furthermore, pupils are forced to pick cotton even when it is raining. 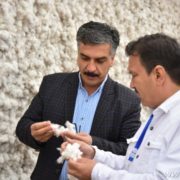 As for teachers, they have been picking cotton from the very beginning of the cotton harvest in Uzbekistan. 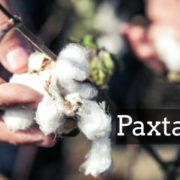 However, the regional government denies any information about forcing pupils to pick cotton. 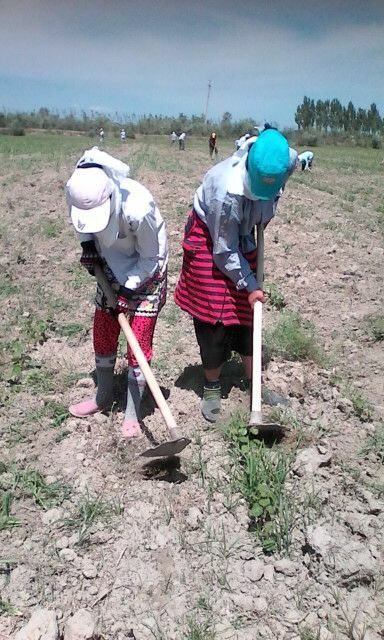 5-9th grade pupils of schools No.11, 35 and 9 in the Nishon district were mobilized to pick cotton. 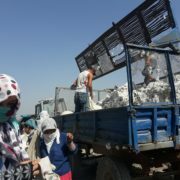 As one of the Makhalla activists from the village of Qodiriy in the Nishon district informed Ozodlik, 8-9th grade pupils are being sent to pick cotton. According to another source of Ozodlik who works as a teacher, the Khokim of the Nishon district, Asror Juraev, runs a ‘policy of compulsion’ and has ordered school principals to mobilize pupils for picking cotton. 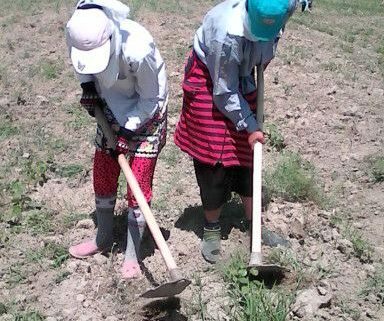 “The previous Khokim did not force schoolchildren to pick cotton. The current one is different. He is worse. He literally walks from door to door and tells people to go and pick cotton. But there is nowhere to stay. They stopped giving us helium balloons. People are forced to cook on an open fire after coming back from the cotton fields. All bazaars have been closed and the police are forcing people out of the bazaars by beating them. That is unacceptable and causes a lot of problems”. Ozodlik tried to contact a Khokim of the Qashqadaryo Region to obtain some comments. However, the official who introduced himself as an assistant of the Khokim, denied the information about the use of forced labour.